CAI Heartland Chapter offers many educational events throughout the year. The Essentials of Community Association Volunteer Leadership is a one-day course and is a must for board members and first time managers who want information on the most pertinent issues pertaining to community associations operations. This is a highly interactive course designed to get you involved! This course covers all the basics you need to know to lead your community effectively. Learn what your fiduciary responsibility is, how to run an effective meeting, what the role of a director is, what the governing documents are (and how to use them), and, how to read a financial statement. If you are interested in teaching this course, facilitator training is provided from time to time. 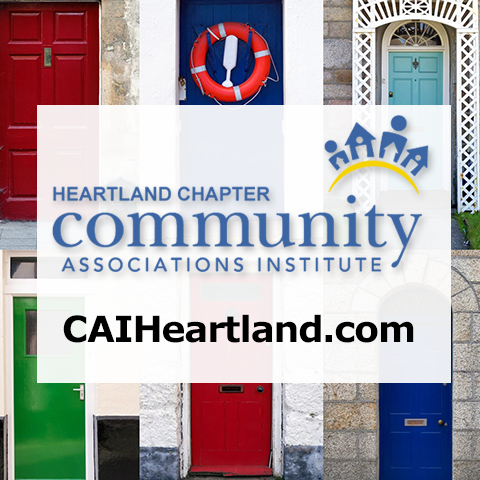 CAI Heartland Chapter also offers The Essentials of Community Association Volunteer Leadership on-site. Bring the Nationally recognized program, The Essentials of Community Association Volunteer Leadership to your community. We will arrange a special on site program and conduct the Course right in your community. Click The Essentials of Community Association Volunteer Leadership On-Site Course for more information.